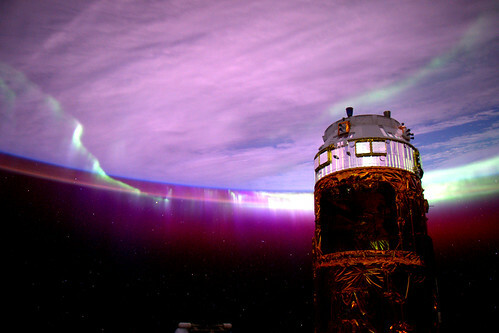 Astronaut Scott Kelly posted this photo of an aurora taken from the International Space Station to Instagram with the caption, "Day 154. #Aurora's purple glow adds mystery to the nightscape. Good night from @ISS! #YearInSpace #space #iss #solarstorm #northernlights #goodnight."